Our business at Trusted Advisor Associates is to help you become better trusted business advisors. That started when I co-wrote The Trusted Advisor in 2000. 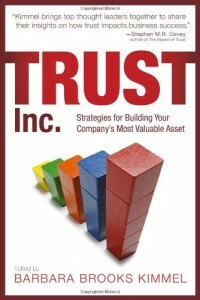 It continued with my book Trust-Based Selling in 2005. In 2008, we added the Trust Quotient, a self-assessment survey which has now had over 14,000 takers. Throughout, we have given practical, real-world advice to thousands of managers and professionals in major corporations throughout the world through our seminars, webinars, speeches and consulting. On Monday November 15th we are beginning the first session of our new Trusted Advisor Mastery Program, and I want to tell you why we are excited about it–and why perhaps you should be as well. 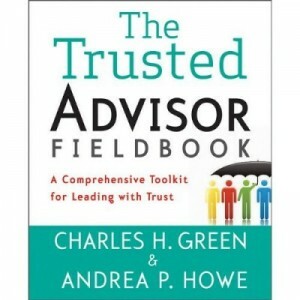 What Will the Trusted Advisor Mastery Program Do for Me? What Is the Trusted Advisor Mastery Program? Who Should Consider Taking the Program? What Are the e-Learning Modules About? How Much Coaching Does the Program Contain? How Much Flexibility in Scheduling Is There? What Does the Online Learning Management System Do? Your clients/customers will be more likely to take your advice. They will be less likely to seek alternate providers. They become more likely to sole-source you going forward. Your opinions will carry more weight. You will be invited to discuss more open-ended issues than in the past, and invited earlier than before. You will get less price-resistance. Your repeat business, customer retention rates, and customer loyalty are all likely to increase as you become more trustworthy, and trusted. Are these the kinds of benefits your business could use? What are they worth to your business? What are they worth to you personally? It is a three-month program for cohorts of 5-10 people at a time. It combines e-learning modules with personalized coaching, group coaching, and a rich collaborative on-line environment. Each participant has a great deal of freedom to customize the program specifically around their very particular issues. External professionals (accountants, consultants, lawyers, etc. ), internal staff professionals (HR, IT, Finance, Legal), sales and service people from complex product and services industries. The program is particularly attractive for those in smaller companies, including solo and partnership businesses that don’t have access to 20-30 person in-house training sessions in larger corporations. There are 20-plus modules, all delivered personally by me, Charles H. Green. All the content that I deliver to my major corporate clients I deliver here, in e-learning form, to participants, in ways you can rewind and read again. The materials are annotated, referencing two books, forty articles, and over 800 blogposts. The modules dive deep into issues like creating trust in the sales process, understanding the dynamics of different trust temperament personalities, practical uses of the Trust Equation, the application of the four Trust Principles, trust-based leadership, successfully creating trust in conversations, creating trust in virtual teams, accelerating trust creation, recovery from trust loss situations, mitigating trust risk, asking difficult questions, and answering the most difficult sales questions. · your own trust quotient and trust temperaments self-assessment. The first session starts November 15, and is fully subscribed. If you send an email to mastery@trustedadvisor.com, we will notify you when the next cohort-session begins. (Your email will be used for no other purpose, and will not be sold or given to anyone else). Each participant gets 4 individual, one-on-one hour-long coaching sessions with a professional, Trusted Advisor Associates coach; either Stewart M. Hirsch, TAA’s head of coaching, or coaches under his guidance. The four group coaching calls include exercises and discussions on issues that arise in the online forum. Stewart M. Hirsch, Trusted Advisor Associates’ head of coaching, is the lead coach for the Trusted Advisor Mastery program; he does much of the coaching, and other qualified coaches work under his guidance. Stewart is a superb and experienced coach, steeped in the Trusted Advisor approach and dedicated to the success of all his clients. One of the most attractive characteristics of the Trusted Advisor Mastery program is the extreme degree of flexibility in scheduling it offers you. With the exception of the four group coaching hours, which require minimal coordination with other members of your cohort, you have great freedom. The online learning can be done 24-7; your individual coaching can be arranged at any time that is mutually convenient to you and your coach. The program typically last about three months, though the precise beginning and ending, as well as the pace, are well within your control. The modules and online forum remain open for a total of five months, to allow discussion and learning to continue after the formal portion of the program is completed. It is a customized environment, built on an Adobe LMS, the same kind of platform used by major universities for large scale delivery. This is not your retail-available webinar-online type software. It offers you forums, special readings, eLearning materials, webcasts, a diary function, and rich controls for customization and privacy. The material delivered in this program is exactly the same material we deliver live to groups of 20-30 in-house for major corporations–except that it is priced far less. By combining online learning with designed high-quality interaction and just-in-time coaching, we have been able to keep this program affordable, and yet very high value at the same time. The November 15 session is fully subscribed. We will be doing more programs in the future, though specific dates have not yet been set. To be notified when we schedule the next program, send an email to mastery@trustedadvisor.com. Judy bought a Lexus; but that's not what made her a lifetime fan, that's just where it started.